This is a 2 day introductory to rock climbing and abseiling course. 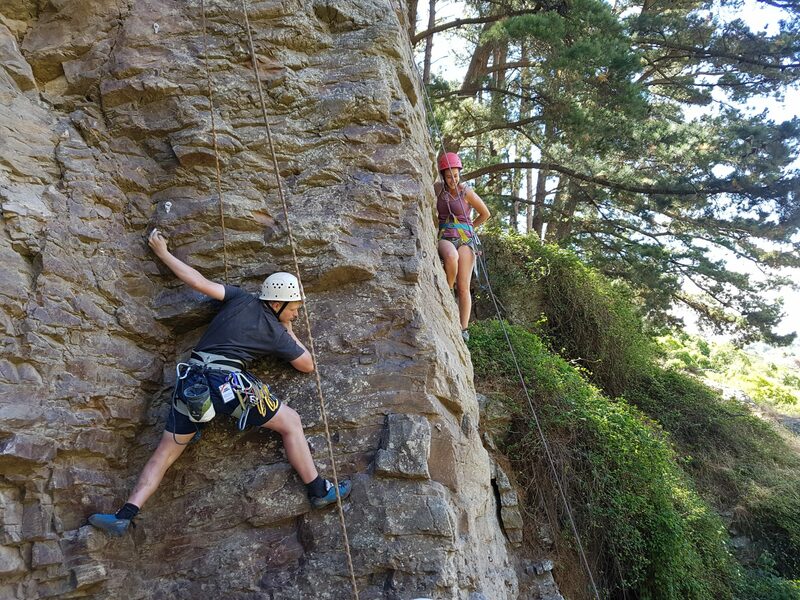 This is two day outdoor rock climbing and abseiling is course delivered at two of Christchurch’s premier climbing areas. In this course we will introduce you to the world of outdoor top-rope rock climbing. We will look at personal safety, good belay techniques, and communication. This is a popular course for those who have limited rock climbing experience and would like to get some professional guidance. This course is appropriate for people that have no experience and would just like to give it a go. Where is this rock & abseiling course? We meet at Albert terrace in St Martins, Christchurch on the first day. From the road end the climbing area is just 5 mins walk. Day 2 the location will be decided by the group and your instructor. We often use Cattlestop climbing area , pop up climbing area and Rapaki Rock on the top of the Port Hills (30 mins from Christchurch city center) for the second day. Nothing, we have everything available to hire if you don’t own climbing gear, easy as. If you planning on bringing your own gear or borrowing from a friend here an idea of what to bring (We’ll send a full gear list upon booking ). We recommend holding of on purchasing any new climbing gear until after the course (except climbing shoes). why not buy new stuff? so you can optimism on your instructors knowledge and recommendations. This courses run from monthly from October to April, visit our Course Calendar for course dates and bookings.